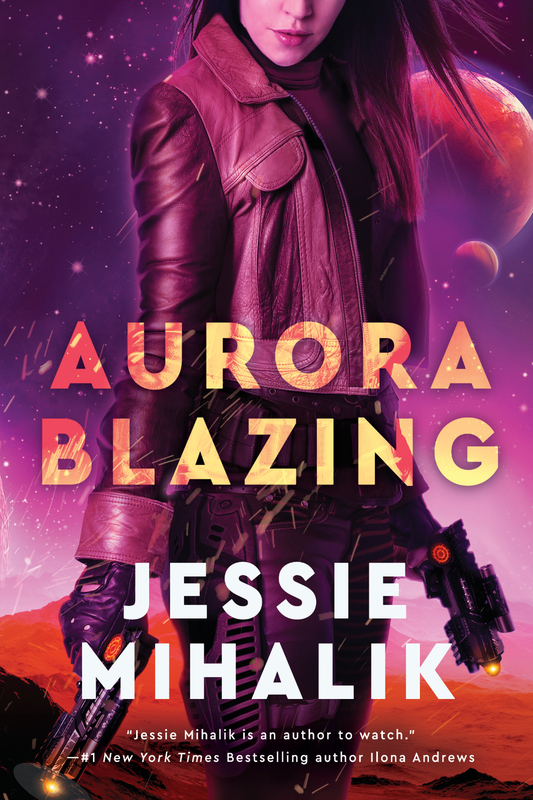 Aurora Blazing Cover Reveal and Snippet! To save her brother and protect her family’s future, a powerful princess must join forces with a dashing man from her past in this thrilling space adventure, the second novel in the Consortium Rebellion trilogy. As the dutiful daughter of High House von Hasenberg, Bianca set aside her personal feelings and agreed to a political match arranged by her family, only to end up trapped in a loveless, miserable marriage. When her husband unexpectedly dies, Bianca vows never to wed again. Newly independent, she secretly uses her wealth and influence to save other women stuck in dire circumstances. Information is power and Bianca has a network of allies and spies that would be the envy of the ’verse—if anyone knew about it. When her family’s House is mysteriously attacked, Bianca’s oldest brother, the heir to House von Hasenberg, disappears. Fearful for her brother’s life, the headstrong Bianca defies her father and leaves Earth to save him. Ian Bishop, the director of House von Hasenberg security—and Bianca’s first love—is ordered to find and retrieve the rebellious woman. Ian is the last man Bianca wants to see. To evade capture, she leads him on a merry chase across the universe. But when their paths finally collide, she knows she must persuade him to help her. Bianca will do anything to save her sibling, even if it means spending time alone on a small ship with the handsome, infuriating man who once broke her heart. As the search takes them deep into rival House Rockhurst territory, Bianca must decide if she can trust Ian with the one piece of information that could destroy her completely . . .
I’m currently working on AB edits. Luckily, my editor liked it overall (woohoo! ), so there were only some minor-ish changes needed, mostly around deepening the backstory. Ada was my first love, but after rereading large chunks of AB, I love Bianca just as much. 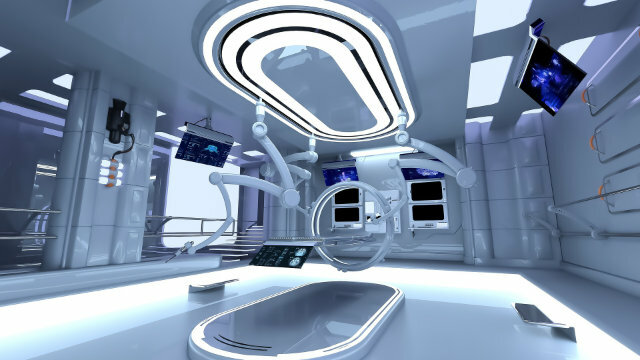 I can’t wait for you to meet her! Here’s a little snippet for you. This book is far more of a slow burn than PR, so this happens a little later in the book, but it’s spoiler-free. :) This is still rough draft, subject to change, etc, etc. Happy reading! My alarm tried to drag me from sleep but I fought the pull. I’d slept hard, but I could use another hour or two. The heavy drapes were closed, leaving the room dim. Putting my com on the dresser had seemed like a good idea at the time, but it meant that now I had to drag myself from bed to turn off the cursed beeping. TQA is going to be fourteen chapters, so set your expectations accordingly: we’re in the beginning of the end. :) Happy reading! I held out a hand and Imogen passed me one of her pistols. A sizable crowd of people milled about in the lobby, despite the ongoing alarm. A few people halfheartedly headed outside at the direction of the overwhelmed security guards, but most stood between me and the door. I didn’t want to cause a stampede, but if these people didn’t get out of my way, I wasn’t going to be held responsible. Myra caught up to us and then shoved ahead, her own pistol visible. “MOVE! Imperial Guard coming through!” Her shouts echoed off the ceiling, and a path magically opened up. The courtyard was filled with disgruntled people dressed in nice clothes. Luckily, they were spread out enough that we didn’t have to elbow our way through. But getting into the palace nearly took an act of violence. We had to fight against the crowd coming out, then Myra stopped to argue with the security guard who tried to usher us back outside. As soon as the guard was distracted, I bolted for the stairs. I ignored her. Hopefully Myra would keep her from shooting me in the back. I’d gotten four hours of sleep. It had helped, but not enough, because now I stared stupidly at my wardrobe, unable to decide what to wear. I wouldn’t have time to change after ambushing Myra in her office, so I had to start the day in the clothes I planned to wear to lunch with the dowager empress. Margie had been nice enough last night, but she was also effortlessly elegant in a way I could never hope to match. So should I attempt a poor copy of it by wearing one of my day dresses, as Stella had called them, or just go for comfort with slacks and a blouse? I’d asked Valentin for advice. His completely useless response had been “be yourself,” as if I had lunch with empresses every day. To make matters worse, I didn’t know if I was walking into a friendly chat or a polite interrogation. Done with indecisiveness, I pulled out a pair of slim charcoal slacks and a deep teal, tunic-length blouse. It limited my weapon options, but taking weapons to lunch with the former empress was probably a faux pas anyway. I put on my ankle boots and checked myself in the mirror. I looked good. This weekend is the Tucson Festival of Books! I will be attending on Sunday, March 3. I have two panels and there will be signings after each. I would love to meet you, so if you are in the area, come see me! Astronaut explorer, secret agent, fugitive royalty and bionically modified revolutionary. What do these characters have in common? They are all intrepid women in adventure-packed tales — in space. Romance authors tell all kinds of stories! The only requirements for a romance are a central love story and a happily ever after. Three experienced romance authors chat about the ever-growing sub-genre categories of romance and the joys of writing in one or all of them. Look at those other authors! I’m going to have to get my star eyes under control in order to be able to form a coherent sentence. This is the first book festival I’ve been to where I’ll be the one behind the table. I’m equal parts nervous and excited! 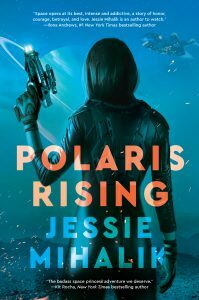 Now that Polaris Rising has been out for a little bit, let’s talk about it! This is your chance to chat with fellow fans, post theories, and ask questions. The comment thread will likely be full of spoilers. Avoid it if you haven’t read the book yet or aren’t done. Once again, for those in the back: DANGER! SPOILERS IN THE COMMENTS!